The Stand is only so hard to translate to film because it's absurdly long and almost entirely dialogs and inner monologs. Everyone's horrible emotional trauma slowly unfolding as the world dies is great in print, but it's not so great in action. 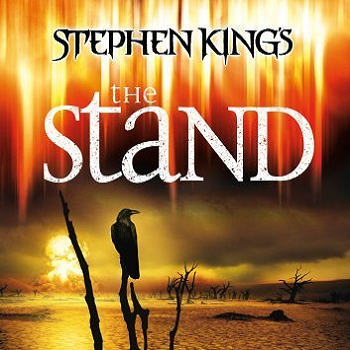 I still think The Stand would translate better than the Dark Tower, though. That's a series I think is actually unfilmable. Must note, in my usual pedantic manner, that the post-headline bold blurb says "The Fault in the Stars", rather than "our". McConaughey playing Flagg would be great, but I'm not as hot on the multi-part pitch. One three hour movie with careful editing would be preferable, methinks. I don't think so. Even the miniseries had to cut out a ton of content, and that had the advantage of being longer than a Hollywood movie. It would be like trying to turn LotR into a 3 hour movie. There's just too much content that has to be included. Given how franchises work nowadays, it wouldn't surprise me if they had McConaughey as Flagg in both the Stand and the Dark Tower.